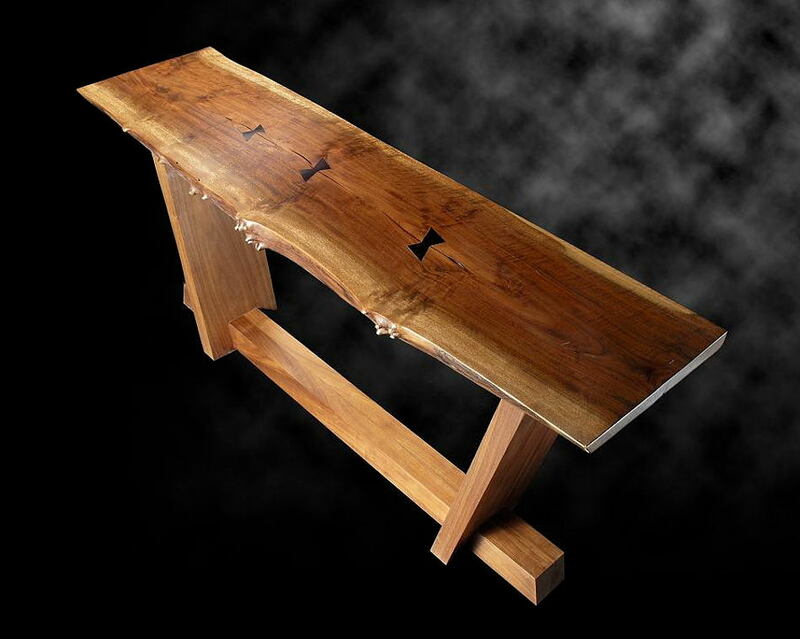 This bench was constructed from Black Walnut and Claro Walnut. 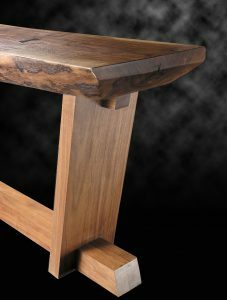 The Claro Walnut top, has one wild edge and exhibits the wood’s natural beauty. The functional and aesthetic butterflies in the top are of ebony. 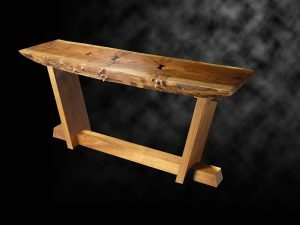 The bench stands 19 inches tall, 40 inches wide and is finished with tung oil.